There's still time to participate in Color Challenge 60! Remember, you don't have to have the EXACT colors to play. Just use colors inspired by the ones you see below. This challenge features soft colors to inspire you — Peach Bellini, Summer Splash, Tropical Teal, and Grout Gray. Oh my GOODNESS, I just love what Ashwini did with her background. 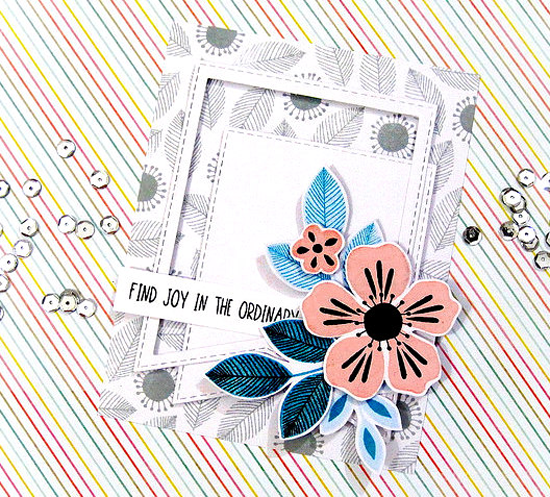 She's stamped bits and pieces from the Flashy Florals stamp set in gray all over her card base, and then softened it with the clean white banners she created with the Stitched Jumbo Fishtail Banner STAX Die-namics. This design allows the colorful flowers in the colors of challenge 60 to shine. 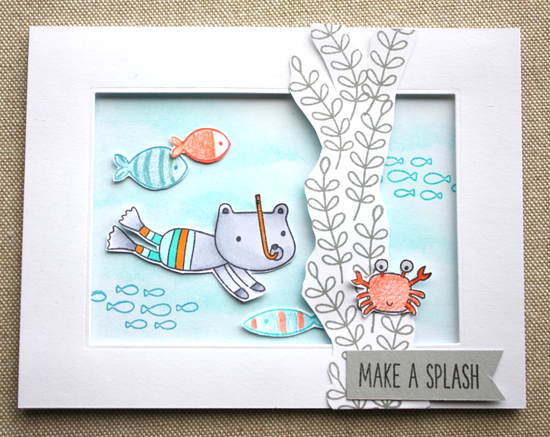 Donna Gourley created a cute under the sea scene with our Soak up the Fun stamp set. The colors of this challenge work really well with an aquatic theme. thank you i always enjoy the color challenges. they are not usually colors i think about pairing and it really makes me think. i have always been pleased with what is created with the colors you choose.